For those of you who didn't know it already, I'm currently obsessed with stationery stuffs (again) including planners and decorating supplies such as stickers, sticky notes, washi tape, etc. You can check my obsession with stationery in my other blog TIGERLILY'S BOOK or via my Instagram (@yurikristia) where I posted my planner decor, page spread, and stationery hauls! Ever since I got addicted again to stationery I became obsessed and lately I found myself shopping for stationery stuffs more often. 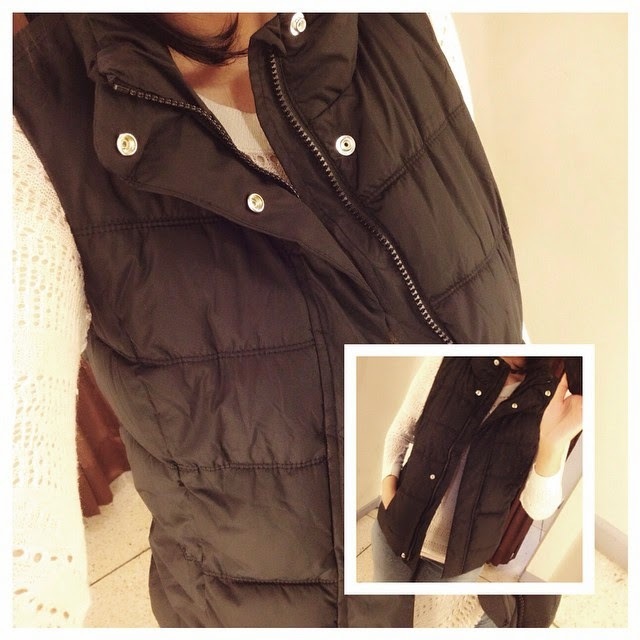 It seems that all of my shopping budget went to fulfill that obsession. And that means I haven't shopped for fashion and/or beauty items for the last few months! Eventually I missed shopping for other things beside stationery, so for the last few weeks I have spent my shopping budget (and a little bit more ;p) towards fashion and beauty items again. I have also been very lucky to receive some free items during the last few weeks and I am very thankful for that. Here are the list of my new items including some freebies that I received as part of my job as a dedicated beauty blogger (lol). Anyway, a little disclaimer: I put up my hauls & freebies here on this blog not to brag or to show you how many things I have, but I listed all my hauls and new things here to help remind me of what I already have so I don't go overboard the next time I shop. I also love reading or watching this kind of posts on other blogs because it makes me aware of whats in trend and what not. So I figured there are many of you who are the same like me, who enjoys reading and watching this kind of posts ;p.
This is a compilation of hauls from a couple of shopping trips that I had during January. 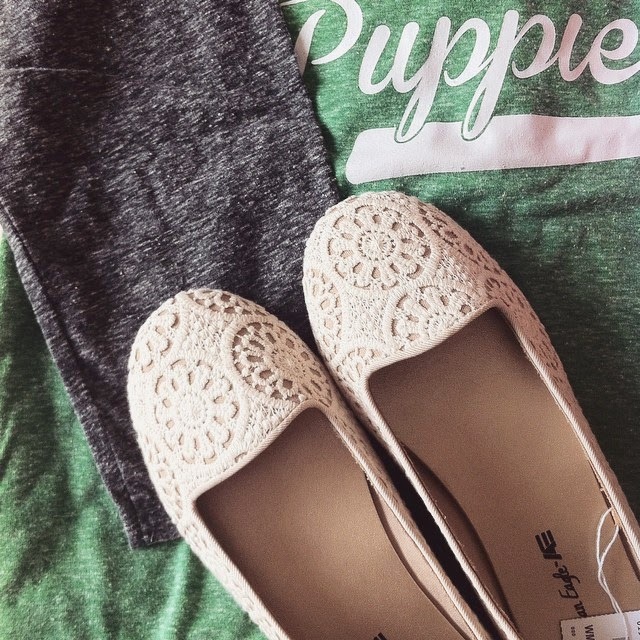 The Hush Puppies t-shirt was on sale (Hush Puppies seems to always have a sale every time I go to the mall, I usually never bought anything but this time I decided to bought the tshirt because I don't own too many green tops ;p). The lace shoes is so pretty and the off-white color is a perfect shade for my skin tone. I also got this shoes with 30% discount by using Mandiri credit card at Payless Shoe Source (oh how I love that store!). I don't know why but I always have a problem trying to find a good black sandals with heels that I can wear daily. My one and only black heeled sandals was from Charles & Keith and I have thrown it away because it was already in bad condition due to frequent wears. But ever since I throw them away 4 months ago I wasn't able to find the replacement right away. It's so hard to find a good black sandals with heels that would go with my requirements. But now I'm glad that I finally found ones in Metro dept store. 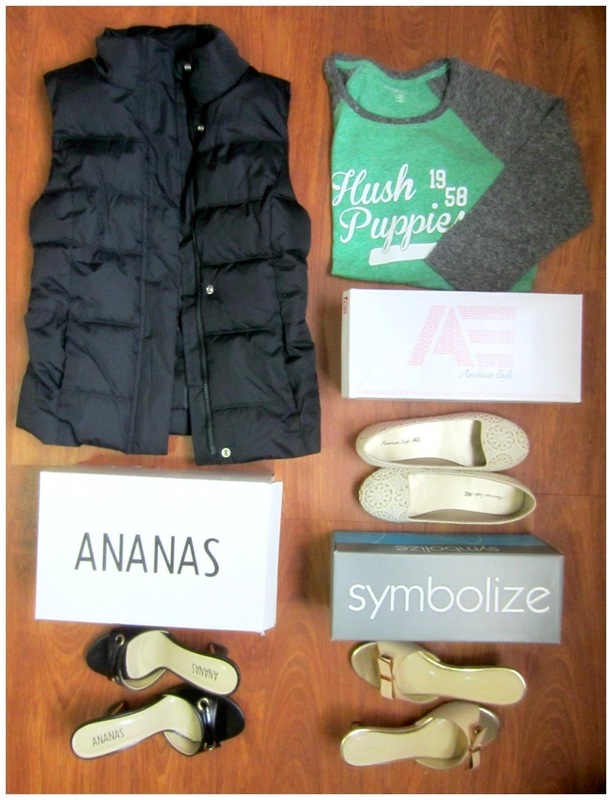 Ananas is one of my trusted shoe brand. I have Ananas pumps shoes back in my working days (I still have them until today), and I swear those pair are the only shoes that never hurt my feet even though I stand and walk in them for hours and hours! So Im glad that I found another footwear from Ananas because I know that they have good quality and most importantly, they don't hurt my feet! (^_^) -- BONUS: I like the thick heels and I also love the gold details on the side of the heels! Luckily for me, when I was paying for my shoes at Metro dept store I got a free lucky dip coupon. After testing my luck with the lucky dip I won a Metro discount voucher worth IDR 128.000, so I spent it on a couple of NYX products. My choice are NYX Butter Lipstick in Mary Janes and NYX Soft Matte Lip Cream in Abu Dhabi, also a NYX Retractable Lip Liner in Rouge. 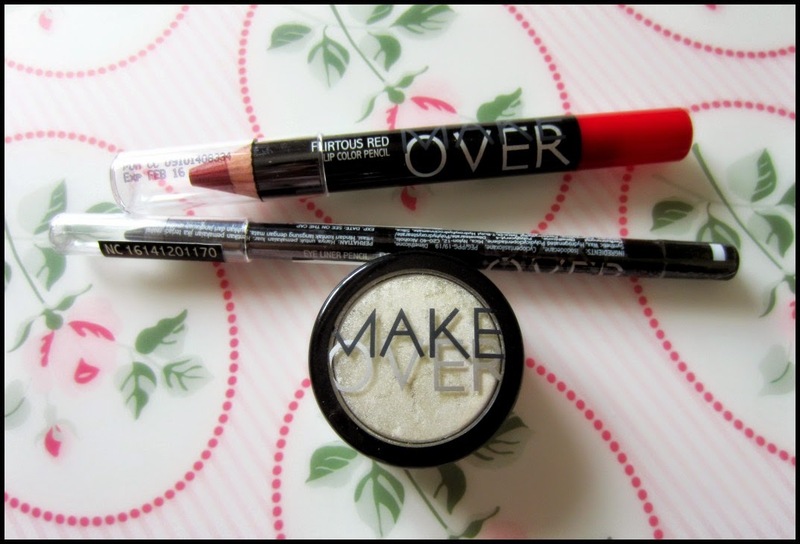 I was also very fortunate to be given these goodies from MakeOver as part of the IBB staffs reunion. Many thanks to Make Over who has kindly sponsored it. Each of us was given a Lip Color Pencil in Flirtuous Red, Eyeliner Pencil in BlackJack, and a Powder Eyeshadow in Adorably White. 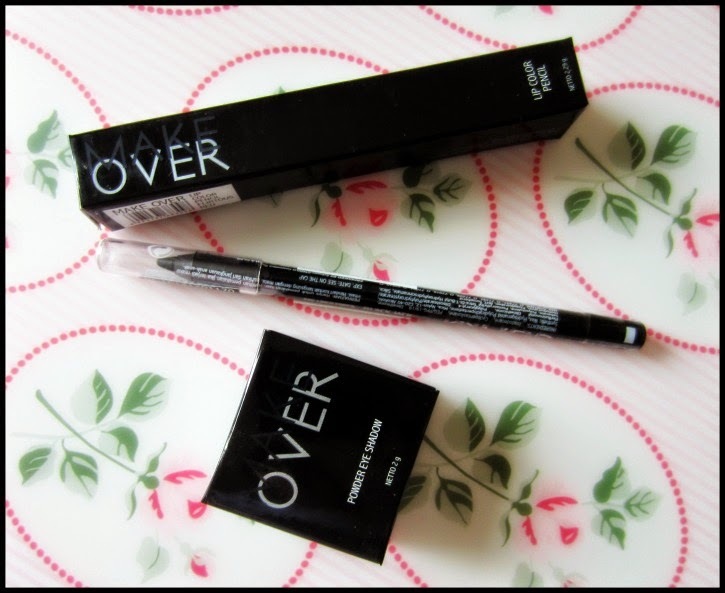 I was also been given these Smoky Effect Eyeliner from Bourjois as well as their popular Blusher in Rose de Jaspe (no.95). 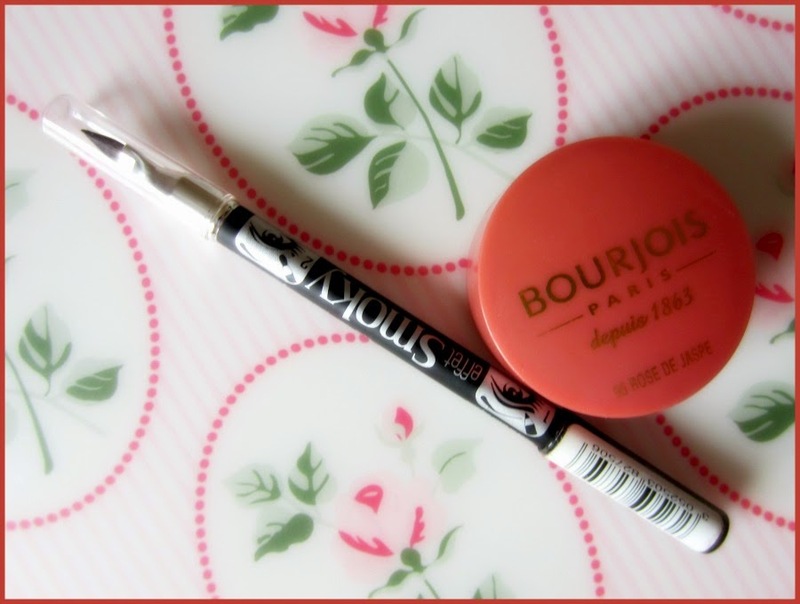 This was part of the goodies from the Bourjois event a while ago (will review these soon). Well I think that's all for today. To see my previous haul post, click HERE.